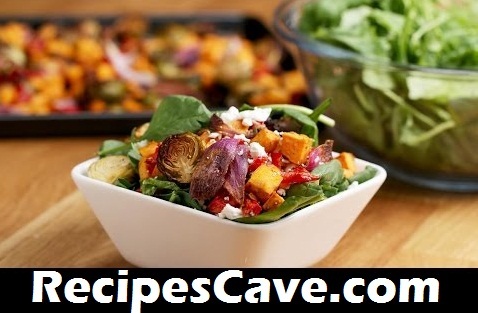 Maple Balsamic Roasted Veggie Salad Recipe - one of the best vegeterian salad that you will really fall in love with this, follow this simple steps and start cooking. Spread vegetables on baking sheet and cook for 40 minutes. In a bowl, add spinach and any other greens you prefer. Sprinkle roasted vegetables over the top. In a small bowl, combine all ingredients and stir until well-combined.